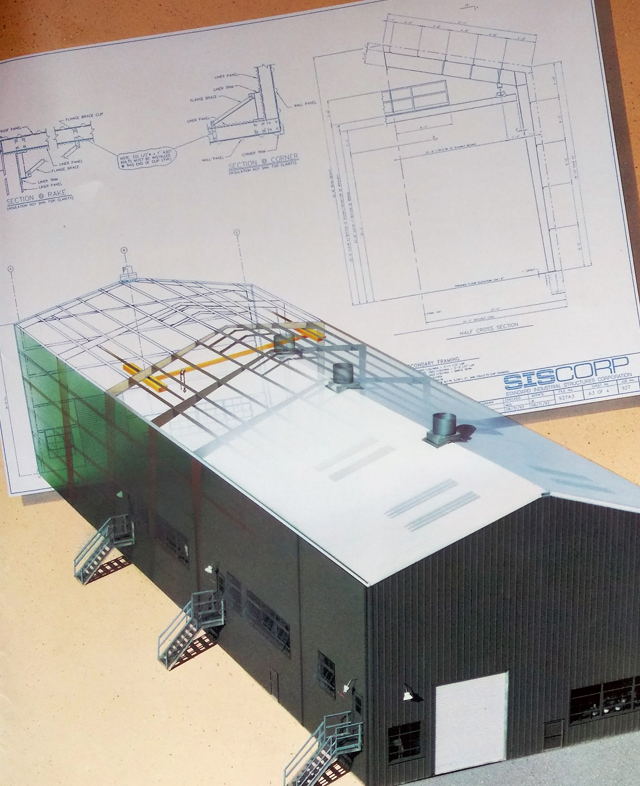 SISCORP is a leader in custom designed steel buildings for industrial applications. We self-perform design and provide construction services of buildings for the domestic and international market. We have designed, supplied and erected buildings throughout North and South America, the Caribbean, Asia, the Middle East and Russia. We have been performing such services for the past 32 years and hope to continue expanding our business relationships. We specialize in design, supply and erection of buildings suited to the Power Generation, Gas Pipeline Transmission, Water Treatment and other industrial markets. Our scope of work typically includes a basic shell structure with options for personnel doors, roll-up doors, bridge cranes and monorails, special coatings on the steel, heating and ventilation systems, and noise attenuation requirements. We also design for special loading criteria such as piping, pipe racks, cable trays, turbine air inlet ducts, etc. Our industrial focus has enabled up to develop and maintain repeat customers throughout the country. Regardless of the project size or complexity, SISCORP has the experience, knowledge and ability to perform. From Building Concept to Finished Construction..
Standard Industrial Structures Corporation’s staff has the technical knowledge and construction expertise to meet the most complex building requirements. As a single-source, full-service company, SISCORP provides customers with an unsurpassed level of performance, distinguishing itself from others in the metal building industry. Years of experience in custom building applications have made SISCORP extremely versatile in its overall capabilities. With our unique team management concept, SISCORP ensures the client that each phase of the construction process meets or exceeds their specifications.